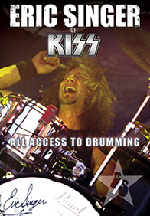 November 18 : KEFREN 's tribute to KISS " Kiss Kovers"
Argentinean rock band KEFREN just released a Kiss tribute album entitled "Kiss Kovers". 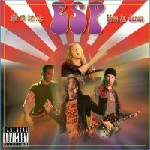 "Seduction of the Internet - A Detention Hall Tribute to KISS" is now available for free download at www.mykisslife.net. This KISS tribute album can’t be bought. It is a pet project of various members of the KISS message board The KISS Army Detention Hall. There is no cost to the CD, either you can join and “vine” to get a CD copy (no artwork), or download them. Original KISS drummer Peter Criss recently gave a 5 page interview to Perfect 10 magazine (Oct 2006 issue) in which he revealed details about his upcoming solo CD. Due out in early 2007, the album, entitled "One for All", will feature contributions from the following musicians: Paul Shaffer, Will Lee, Clifford Carter, Mark Montague, Mike (Angel) McLaughlin. Peter described the songs as "ballads, duet with Jennifer Johnson," with lyrical subjects including "God, wife, mom, life, the band, autobiographical, and a song about Ace Frehley." In addition to the solo album, Peter is said to be currently working on an autobiography, a swing music CD and a children's book. 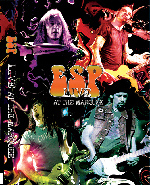 ESP (ERIC SINGER PROJECT) featuring KISS drummer ERIC SINGER, former KISS guitarist BRUCE KULICK (GRAND FUNK RAILROAD), singer John Corabi (ex-MOTLEY CRUE) and bassist Chuck Garrick (ALICE COOPER) have completed work on their Live At The Marquee DVD. 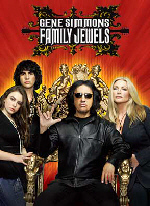 Filmed in Sydney, Australia, the DVD will be release in time for Christmas. 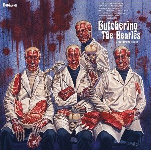 The tracklisting is as follows: 'Do You Own Thing', 'Watchin' You', 'Unholy', 'Love (I Don't Need It Anymore)', 'Four Day Creep', 'Jungle', 'Nothin' To Lose', 'War Machine', 'Jump The Shark', 'Born To Raise Hell', 'Free Ride', 'Power To The Music', 'Black Diamond' (ERIC SINGER on vocals), 'We're An American Band', 'I Love It Loud', 'Domino', 'Smokin' In The Boys Room'. For more information visit: www.ericsingerproject.com. The song about being a kid in 1978 and wishing for the KISS Dolls. Check it out the song on myspace at www.myspace.com/joeystinks. A vintage 1979 promotional film of Blackjack - the band featuring Michael Bolton and BRUCE KULICK, is viewable online at www.youtube.com/watch?v=jIxL0k-IstM. Punk bands NICOTINE (Japan) and SUN EATS HOURS (Italy) have teamed up to record a split album, "Metal Addiction", featuring covers of heavy metal classics. 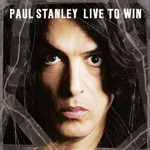 KISS guitarist/vocalist Paul Stanley's solo concert at the House of Blues in Chicago this Monday, November 6 will be filmed for possible DVD release.